MALIBU, CALIFORNIA, USA, July 8, 2018 /EINPresswire.com/ -- Communication is essential to a successful life. An increase in better communication improves the living and working conditions of everyone. And Judy Young, one of the most respected and sought after Accent Reduction and Speech Experts in the world, does just that. Having improved the lives and businesses of countless people from around the world for over 25 years, Judy has helped people clearly and effectively speak the most widely accepted and popular language on Earth; English. Training clients from over 50 countries and 25 different languages including; Central and Eastern Europe, The UK, Africa, South America, Canada, Asia, South Korea, and across the U.S, Judy Young improves the communication skills of people around the world. She has coached leaders in numerous fields including; engineering, information technology, real estate, nursing, medicine, public speaking, religion, education, sales, human resources, business management, acting, and students of all ages, from as young as 3 years old up to 89. In addition to improving the lives of those outside of America, Judy Young also assists immigrants and locals throughout the United States in reducing regional accents. A leading Speech and Accent Reduction expert for nearly thirty years, Judy even helps resolve challenging speech difficulties including slurring, and mumbling. Beginning by teaching speech and accent reduction only to actors, Judy quickly realized that her valuable teaching skills could be applied to help those from all walks of life; in any area, and from every nationality. With this discovery, Judy keenly refined and expanded her teaching in order to greatly help anyone speak English more clearly and effectively. Judy says that she finds her work to be extremely rewarding. By helping to dissolve communication barriers, elevate understanding, and increase the ability to speak English successfully and with ease, Judy Young's results can increase statistics in one's business, and even raise one's self-esteem. Judy Young began teaching Speech and Accent Reduction in 1991. Attending Columbia College Chicago, where she studied writing, communications, and media arts and broadcasting, she additionally worked at a leading executive training company in Chicago. She later expanded her expertise in the field with the study of speech and acting at the legendary Ted Liss Studio in Chicago, whereby she received extensive speech training directly from the late Ted Liss; one of the top acting coaches, voice talents, and speech instructors in the world. Other notable star alumni from the Ted Liss Studio include; Virginia Madsen, Tom Bosley, Geraldine Page and Robert Urich among more. 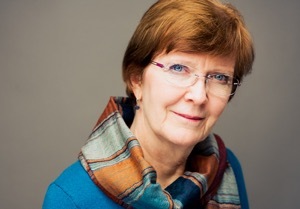 Today, in addition to private, one-on-one coaching, Judy Young is available for travel delivering seminars and workshops on public speaking skills to many of today's top leaders, including; business executives, company presidents, CEOs of multi-national corporations, and public and private groups of all sizes. For international clients, Judy Young teaches sought after webinars, group, and private lessons around the world via Skype, Zoom, WhatsApp, and Messenger.